New video this week (always first on YouTube): Khmer ‘Bok Trey’ (ត្រីបុកពិសេស). 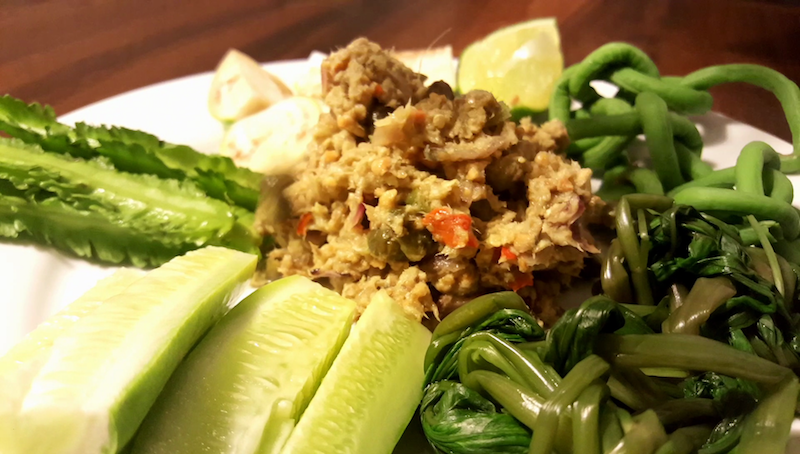 Made with the mackerel-like ‘Kamong’ sea fish (ត្រី​ប្លាធូ or ត្រីកាម៉ុង) and eaten as a laab-style dip with fresh vegetables this is a delicious flavoursome dish that makes a change from the taste of river fish so common in Cambodian food. You will always find my weekly easy-to-follow videos posted first on YouTube @ https://www.youtube.com/veasnainthekitchen and on my website http://veasnainthekitchen.com/ – subscribe so you don’t miss them!